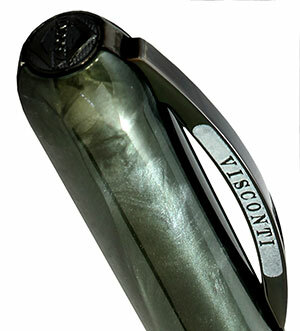 Visconti launched the Rembrandt in 2009, with black, red, blue and ivory colors; featuring great brightness and slight shades of colors that, otherwise, were unvarying. In 2012 a new color (orange) was added, and afterwards the violet. In 2016, here is the new color, a shaded green/grey/black, that seems darker due to the black PVD finishings; not only the central ring and the pens’ grip, but also the clip and even the nib are black! 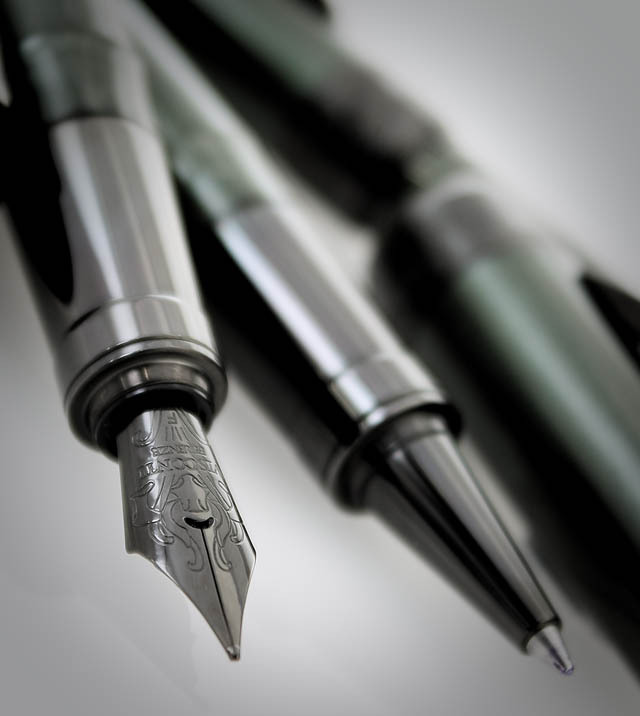 Steel nib, PVD black, available in Fine, Medium and Broad; cartridge/converter filling system; magnetic closure of the cap. Also available as roller, rollergraphic (a roller tip with fountain pen’s ink), and ballpen. Available for sale in Giardino Italiano.